The HappyFeet Kids Load the Train by Donald Dione is an intelligently written, well-designed book for preschoolers. Created to respond to the HappyFeet's imaginative and innovative “Story Time with a Soccer Ball” methodology - one that enables children to enhance their cognitive growth, develop self-confidence, improve their balance, and experience a lot of fun while doing it - this book offers interactive moments with kids, modeled after the classroom experience. In this book, the kids, alongside their coach, use Bob the Bobcat and their soccer skills to help trains that are idle and sad. The HappyFeet Kids Load the Train offers a lot of fun material and drama that kids can act out in their play time. 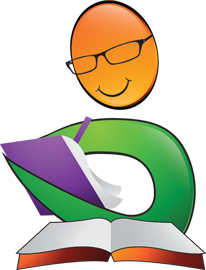 It is designed to be interactive, fun, and educational. I read this book in less than an hour with my two grandsons, (ages 3 and 5) and they had a lot of fun. Now I can’t have my phone back as they keep on going through the story, commenting on the kids and retelling the story. They are identifying themselves with the characters — Ricky, Holly, José, and Bob. It is interesting to notice the effect of the colorful artwork on young readers, the beautiful images that take on a life of their own, and the realistic interaction between the Coach and the kids. This book should be on the shelf of every family with kids. It is also one of the best tools to introduce children to soccer. 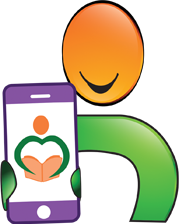 Donald Dione has created a wonderful story for kids, one that will undoubtedly add great value to their play time. The HappyFeet Kids Load the Train by Donald Dione is one of the books in The HappyFeet Kids series. I had never heard of this series before, and so this was the first one of its kind for me. The HappyFeet Kids is designed for very young children to start developing an interest in soccer and learn soccer skills and techniques. At the beginning of the book, there is an introduction of the Coach and each of the HappyFeet Kids, along with Bob the Bobcat. The story then begins with Coach Jan asking the children if they want to help the trains. The trains usually deliver goods, but today there is nothing to deliver and the trains need their help. The children enthusiastically agree to help the trains get the goods to deliver while learning soccer skills along the way with Bob the Bobcat. At the end of the book is a short illustration on some Beginner, Intermediate, and Advanced soccer skills. The HappyFeet Kids Load the Train is a children’s book suitable for all young readers. It could be read as a story while also engaging the kids in playing and learning a physical sport at the same time. Although I liked the idea behind the book, it felt crowded and the idea of a cat and a soccer ball rolled in one felt strange. That being said, this is a children’s book and I think the colorful illustrations and interactive content will be enjoyed by kids. Although the book tries to be inclusive by incorporating children from all backgrounds, some attention to detail is needed: Chen is typically a Chinese name, but the kid makes a hand gesture that is more Japanese than Chinese; similarly, Zara is a Muslim name, but she folds her hands together in a distinctly Hindu style of greeting. Apart from that, the overall content and vibe of the book is fun and engaging. The HappyFeet Kids Load the Train is a sports picture book for children written by Donald Dione and illustrated by the Eminence System. The HappyFeet Kids are about to go on a train trip with their coach, Jan. They love playing soccer, and their friend, Bob the Bobcat, comes along with them on their adventures. Coach Jan explains that their task today is a really important one -- they will be helping to load the Socceropolis trains. While they’re waiting for the trains to arrive, Jan tells them all about trains; how they move and what train engineers wear when they’re at work. Each kid gets their own Bob the Bobcat to help them with their tasks. Some kids will help the Blue Car get loaded up with milk, while those helping the Yellow Car will find plenty of wood in the nearby forest. But their day’s not done yet. HappyFeet Kids are used to hard work, however, and Jan knows they’ll do whatever it takes to get this job done. 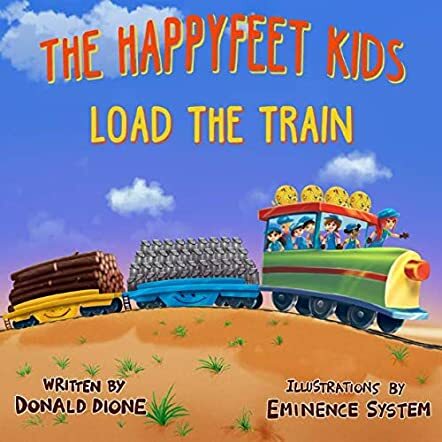 In his sports picture book for children, The HappyFeet Kids Load the Train, Donald Dione introduces the concept of teamwork that kids are expected to adapt to as part of their soccer training. I loved seeing how they used Bob the Bobcat to demonstrate soccer moves and steps. This story introduces soccer to children and includes an appendix with Beginner, Intermediate and Advanced Soccer Skills for children to practice. 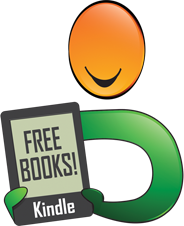 Dione’s story is upbeat and informative, and the illustrations provided by the Eminence System make the story and its characters truly come to life. Kids who currently play soccer will be thrilled with this story, and newbies will be wondering how they can get involved in the action after reading this inspirational team story. The HappyFeet Kids Load the Train is highly recommended. Meet the HappyFeet Kids in Donald Dione’s The HappyFeet Kids Load the Train. They will inspire you to grow your leadership skills while building your motor abilities. In the opening scene, the team is holding a meeting led by Coach Jan. She notifies them that the Socceropolis trains need the team’s help. With nothing to deliver to other parts of the world, the trains are stuck with nothing to do. When Coach Jan asks who wants to help out, all the members raise their hands in unison and with enthusiasm. As they prepare to help the trains, they learn about the special clothes worn by train engineers. They also meet Bob the Bobcat, a magical cat with a funny past. What the trains need is demanding and exhausting. Will the team manage to please the trains? The HappyFeet Kids Load the Train by Donald Dione is a short and fun read that will capture the heart of any young reader. Dione hits the mark with lovable and admirable characters. This is accentuated by the attitude of the team as they work towards the vision of the day. Coach Jan displays remarkable leadership skills and the team spirit is maintained throughout by the members even though the mission that they have to undertake is daunting. Add a funny magical cat and the narrative’s ability to captivate goes up even higher. Not only will the reader learn the value of teamwork and hard work, they will also get soccer skills tips from the HappyFeet Kids. The Soccerpolis trains deliver goods all over the world. Today, however, the train cars are sad because they have nothing to deliver. Led by Coach Jan, with the help of Bob the Bobcat, the HappyFeet kids use their soccer skills to help the train cars. As they load the train with milk, wood and wrapped toys for mail, young readers can learn about things around them, how they work, and where they come from. The HappyFeet Kids Load the Train by Donald Dione is the second book in The HappyFeet Kids book series. It teaches young kids literacy and soccer skills, as well as other valuable lessons such as kindness, good listening skill, teamwork, problem-solving, patience, and leadership through an imaginative story and colorful illustrations. The narrative is short, direct, engaging, fun and easy to read out loud for a one on one with family or a group of kids. Bob, the baby bobcat that swallowed a magic soccer ball, is very cute and is definitely a hit with the kids. Even a kid with a short attention span can be persuaded to sit through the reading and be rewarded with practicing the illustrated soccer skills guide at the end of the book. All in all, The HappyFeet Kids Load the Train is thoughtful, endearing and cleverly instructive. The dedication and effort for The HappyFeet Kids book series and the HappyFeet programs amaze me. I think other sports can definitely emulate and benefit from this type of educational approach that deftly combines athletic, mental and academic skills. 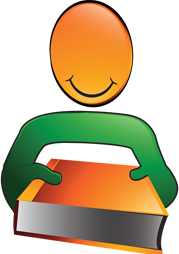 The HappyFeet book series are fun reads with amazing illustrations from Eminence System! Great job Donald!